is it possible to bend a flat without a hydralic press? what tools besides the jig would be needed? no you dont "need" a press, but im sure it would make life alot easier. ive also seen it done without the jig, flat clamped between 2 pieces of stock. held in a vise and bent with a hammer and a 2x4 if i recall correctly. use grasshoppers jig..home depot is all ya need. Ding i dont think ive ever read all 17 pages of that thread, but i liked the ingenuity! did grasshopper come up with a way around using a press for that jig? Last edited by Ding; 12-02-2008 at 01:05 AM. I bent my first flat with a 8" bench vise and a big c clamp! But I use a press now. forgot.make some braces for the bolts out of 1/4" flat bar.these go onto the bolts(drill holes)and will seat on the bottom of the angle iron so when you start cranking on the bolts it will seat against the bottom of the jig.oh and polish the inside of the jig and the edges to keep the receiver from getting scratched up then measure the gap for the receiver in the jig and then set it using the outside bolts.I bet you knew that already..I used bearing grease on the receiver as lube. I used a similar jig. see there,ask and you shall receive.perfect G-Man.pictures are worth a million..thanks..
bigwheel,they even lubed up my mother to pop me out.LOL.tis' in my blood. Last edited by 22zsteve; 07-11-2017 at 02:53 AM. add a piece of flat bar under the receiver if using the jig in photos, and your corners will be sharper. my first bent was the one in the wide vise with the hammers and 2X4 and such. since then i have made a scissor jig with a piece of steel beam to weld the die to, a hinge point on one end, a swing arm holding the punch, and an acme screw from a big clamp that can be driven by an electric impact gun. "That's what will happen if we are fighting with just our fists. Give each of us weapons, and you can imagine what that room will look like when were done with each other." i"ll live to see it, so i don't need to imagine. There is a flat bar under the receiver. 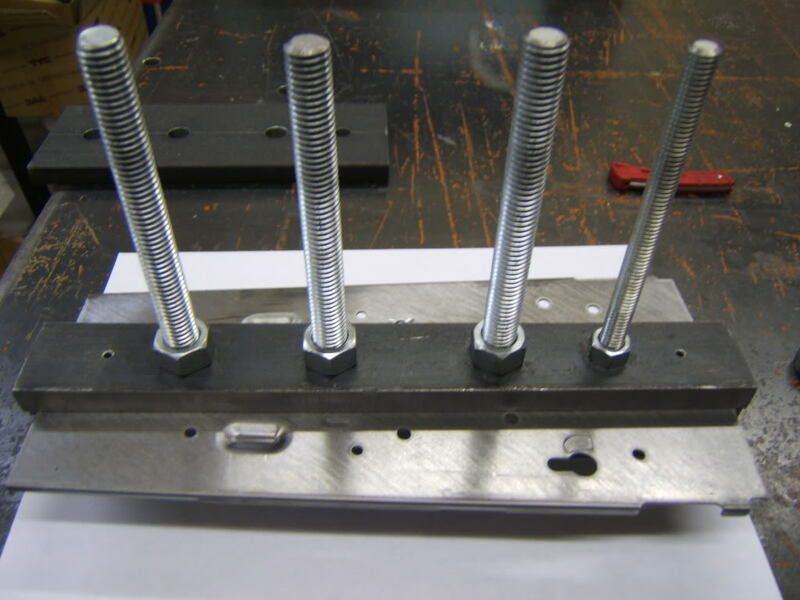 What is needed is a short set of bolts just beyond each end of the receiver to hold the bottom and top bar more tightly together. Thanks guys I came into possesion of a free flat and bought a kit to build. Sorry about yer hunger problems LuzRD. Good to see someone using angle iron the "right" way. Most posts show the "L" down, but having the "L" inverted as you show gives the best rigidity, less flex and most likely a better bend. I've never understood why everyone else has the "L" the other way. I guess you make the bends at the top of the flats first. Is there a jig to make these bends accurately? 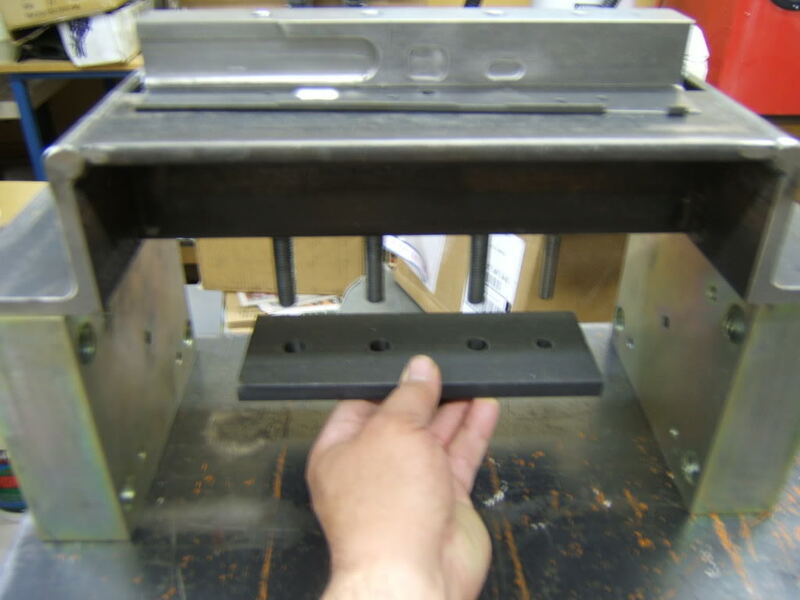 Does anybody have or know of a dimensioned drawing of this jig? Last edited by CPO TED; 12-03-2008 at 01:58 PM. I guess you make the bends at the top of the flats first. I bought them pre-bent from TapCo!!! It really is a nice option. Is there a jig to make these bends accurately? Probably but I didn't use one. That's the beauty of it... 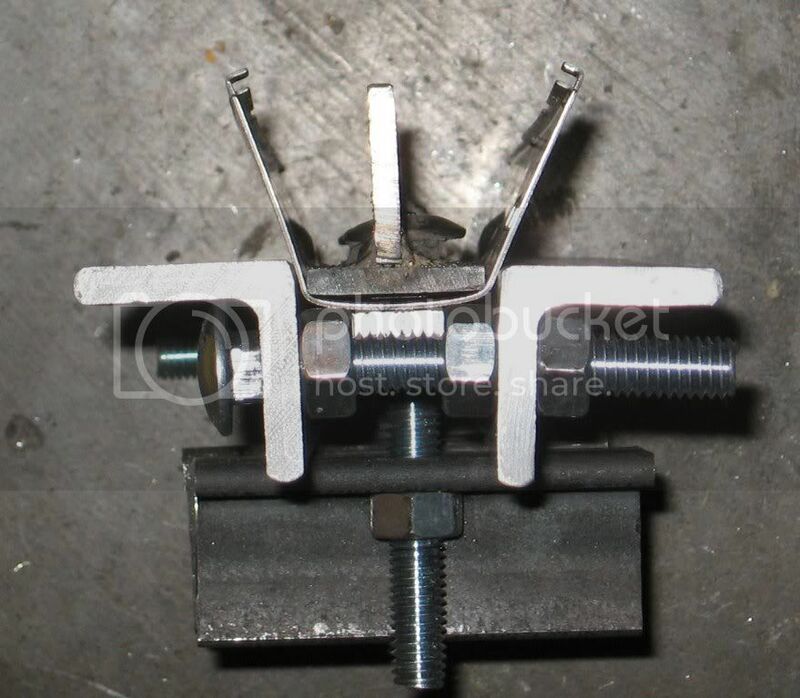 It doesn't need to be that close to tolerances because all of the tolerances are adjustable by virtue of the fact that you can simply loosen or tighten the nuts on the bolts to set it where you want it. the new flats with top already bent are the way to go. lower rails are added after the final shape is acheived, using a #21 drill bit as a spacer to get correct distance from interior of upper rail. center support at the same time. 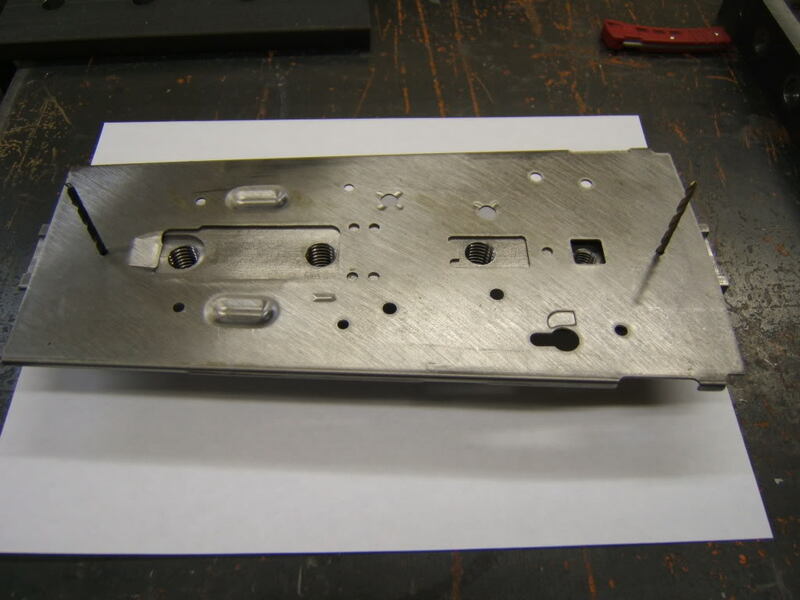 i posted my detailed design with dimensions and instructions in pdf in early 2004 on a bunch of boards, and viola, comercial jigs hit the market many e-mails later. 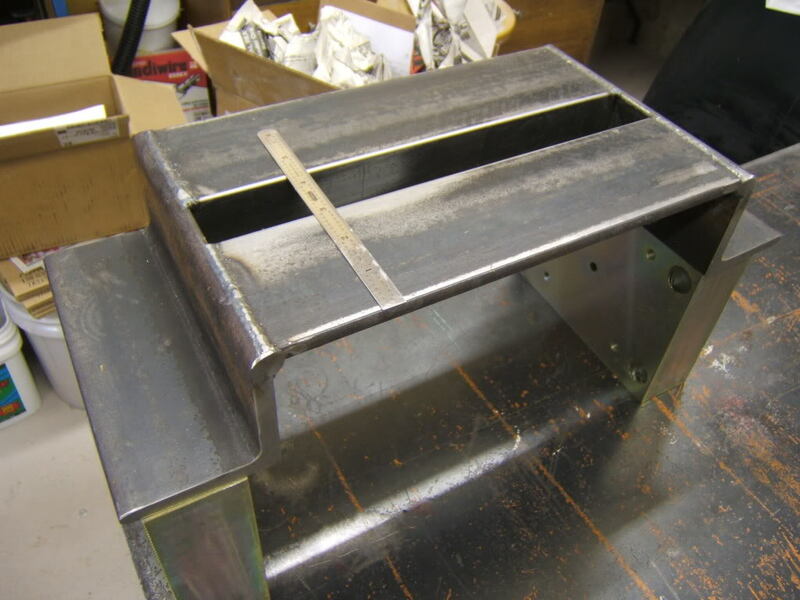 the original jig was just an interior with an exterior floorplate, and soon added a fixed die with a bottom. this morphed into a yard long scissors assembly that is driven by an acme thread with an electric hammer gun by late 2004.
the pictured angle iron jig and flats with pre-bent tops make drawings a moot point, and is much simpler than my original design. 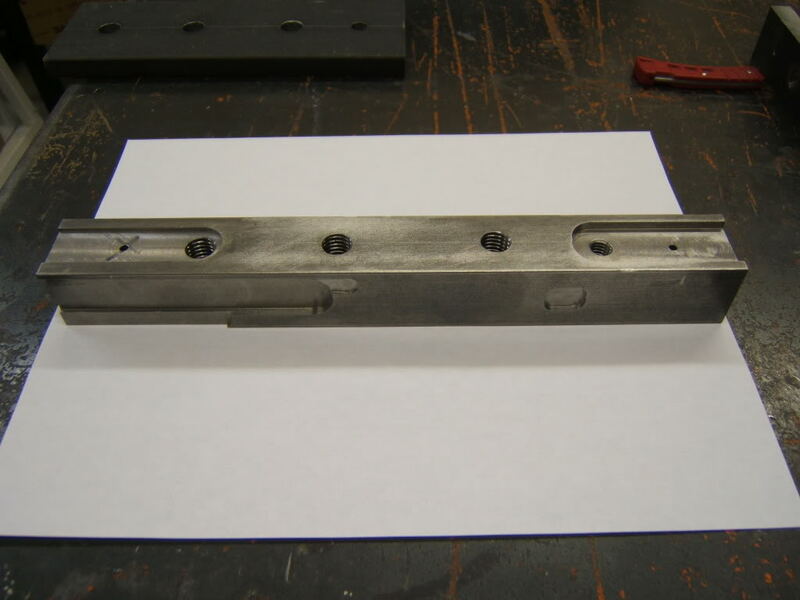 the original jig design involved an assembly of 3 flat bars that were equal to the interior dimensions of a reverse engineered vulcan receiver, including grind outs for the magwell divots,and involved using a hammer and a bucking bar to tamp the upper rails to shape once the flat was shaped in a very wide vise i have, or pushed to the bottom of the thereafter assembled die. 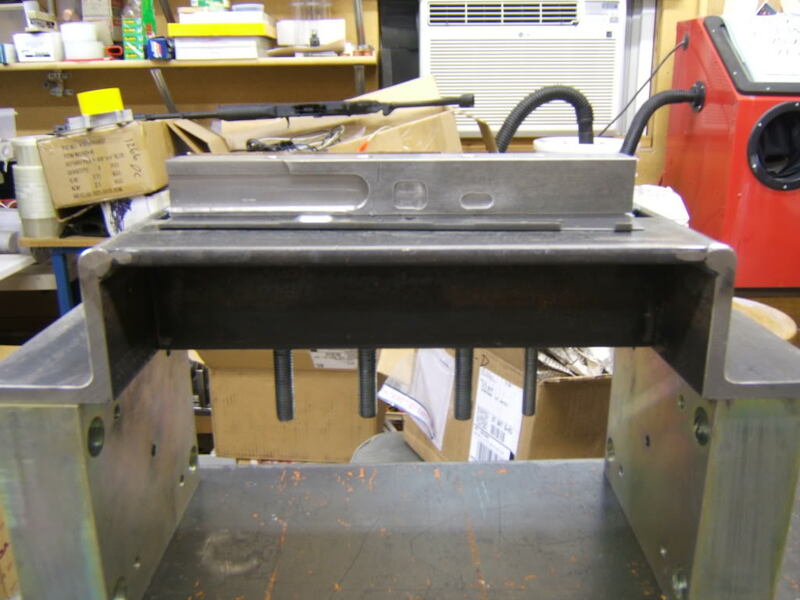 the interior pieces were then withdrawn one at a time, and the receiver bent pried up out of the jig with a screwdriver. 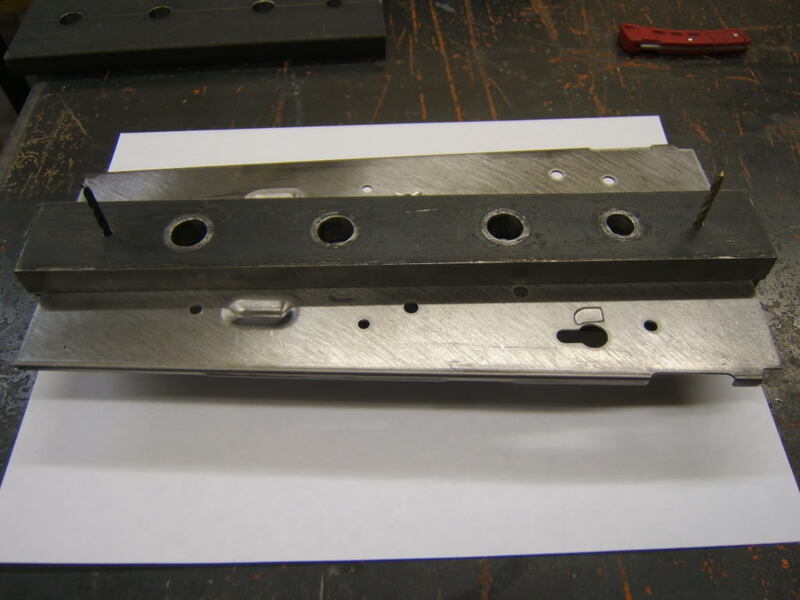 to make the pictured jig all you need is 2 pieces of 1.25 X .25 flat bar for interior and exterior of receiver floor, a 3rd piece to give it a spine, a few .375 carraige bolts, and some 1.5 X 1.5 X .25 angle iron., all flats 11" long, angle about 14" long. 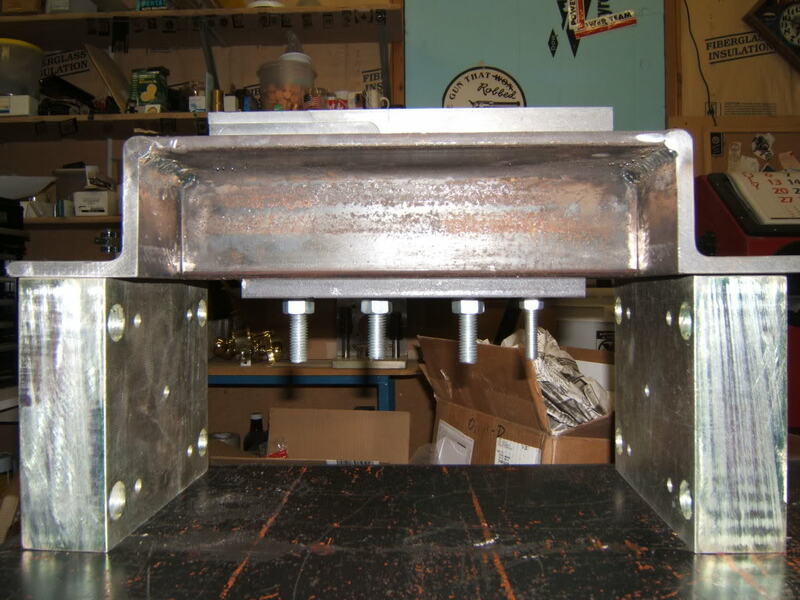 the interior dimension of the receiver is 1.25", and the jig center is bolted through the existing openings in the flat in dead center as measured with a caliper, and ideally, also at the ends through a 3rd and 4th bolt, which could be .25". a ratchet wrench with a cheater bar would pull the sheet through, but an electric or air powered impact gun/wrench would be easier to use. most modern flats have small diameter indexing holes at each end. drilling dead centerline holes in your floorplate interior/exterior and using a same diameter drill shank to keep the plates from shifting guarrantees that your plate center will not shift in process and give you an out of spec flat. a 4 bolt system with 2 bolts through the flat and one at each end will guarrantee sharp corners, which are important in the areas of the axis pin holes, especially. 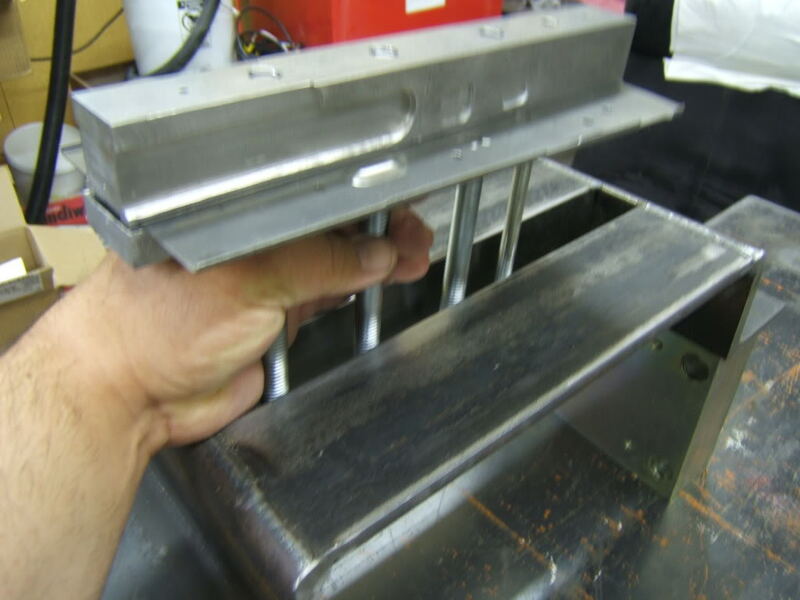 has anyone ever had luck bending a flat without the aid of a jig or press? 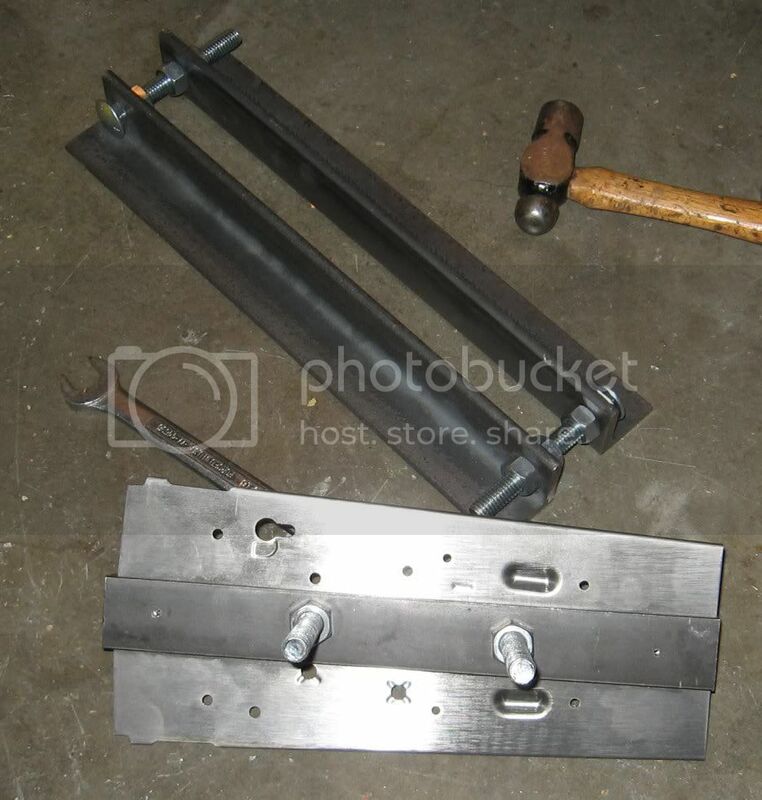 the material needed(pictured above)is all found at home depot for about 15-20 bucks.you would need the angle iron to pull the flat through to form it.about as basic as can be with out the press.go with 1/4" material,NOT 1/8" as it will flex too much(personal experience).